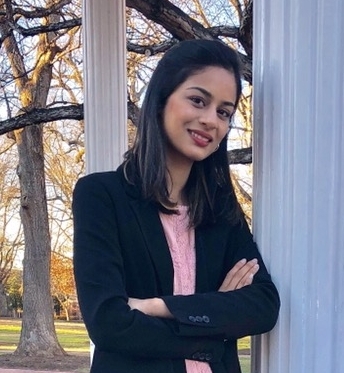 Shreya Prabhakar grew up in Greensboro, North Carolina. A student at UNC-Chapel Hill, she is pursuing her undergraduate education in biology and economics with a minor in chemistry. In 10 years, she hopes to be a pediatric neurosurgeon, while contributing to research in diabetes. 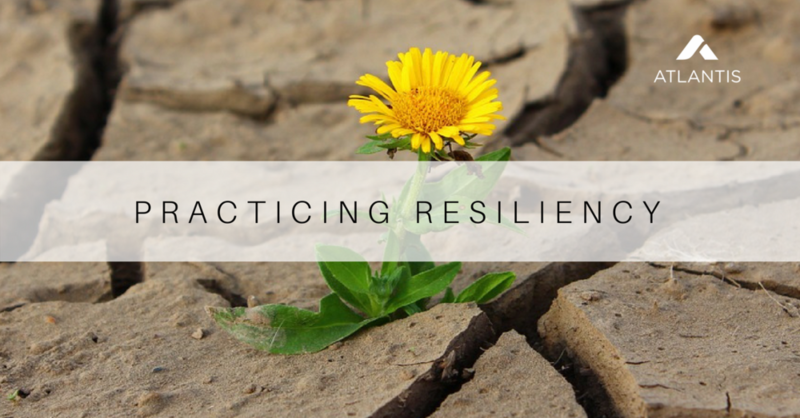 In the following article, Shreya highlights the vital trait of resiliency along with best practices for staying resilient on the pre-med track. Some of the best classes I’ve taken in college, like Education 130: Navigating the Research University, are non-major-related. In this one-credit course, I learned and implemented so many practical skills - from self-care to money management. However, the most poignant lesson I have learned was on the subject of resilience. “I was hit by a car one night during college. I just remember waking up at the hospital with excruciating pain, shattered bones, brain damage, and months of recovery awaiting me. I couldn’t see straight, couldn’t move, and couldn’t grasp a future ahead of me,” recounted my Education professor, Jackie Lawrence. Looking at one of the most friendly, motivational, and joyful professors I’ve ever had, I couldn’t fathom this awful reality she’d lived for months. I would never have known that she’d experienced a rock bottom like this, but it was only one of a few of the challenges she’d revealed having experienced. “When trying to match with graduate programs in psychology, I felt really good about all the interviews I’d given at various institutions, and ended up only ranking UNC,” Jackie recounted. “It was where I envisioned myself being and I thought I had everything it took to make it. Decision day came, and I was the only one not to match, while my two best friends matched with Johns Hopkins. I was crushed.” Again, as phenomenal as Jackie was, she seemed the unlikeliest candidate to have met a challenge like this. And that was what started our conversation on the importance of resilience. It was a very transformative class, and while I was sitting there listening, I realized how much I needed to hear the content. As we embark on the arduous path of pre-med studies, I am convinced my peers need to hear it too. Looking at one of the most friendly, motivational, and joyful professors I’ve ever had, I couldn’t fathom the awful reality she had lived for months. Pre-meds have to be successful in order to get into medical school. They have to have stellar extra-curriculars, incredibly high GPAs, and phenomenal MCAT scores. With the pursuit of excellence ingrained in them, failure may seem an unknown territory - at least from the outside. However, if you ask pre-med students, you’ll find that this is hardly the case. They know all too well that the journey is often anything but perfect. The key to successfully achieving that transition from being a pre-med student to a med student is NOT avoiding failure. It’s NOT about seeking a fail-proof plan from those who have succeeded before you and emulating it in every way possible. It’s NOT about limiting your risk-taking so that you don’t fall short. It’s about creating your own path and marching onwards even when things don’t turn out the way you anticipated. It’s about being resilient. Michael Jordan once said, "I've missed more than 9,000 shots in my career. I've lost almost 300 games. 26 times, I've been trusted to take the game-winning shot and missed. I've failed over and over and over again in my life. And that is why I succeed." Today, Jordan is considered one of the greatest basketball players of all time. According to the American Psychological Association, resilience is “the process of adapting well in the face of adversity, trauma, tragedy, threats, or significant sources of stress.” It is, essentially, recovering from tough experiences. In a course of study that is notorious for its demanding and competitive nature, resiliency is imperative. Being a pre-med means fully immersing yourself in one of the most rigorous curricula in the nation, while gaining as much exposure in the field as possible. While pursuing such a path, it’s common to feel burnt out and overwhelmed. At Johns Hopkins University, which is known for producing some of the most qualified candidates for medical schools, 82.95% of pre-med students have reported experiencing some variation of mental health decline. Resiliency is not something people are either born with or without. It’s marked by thoughts and behaviors that can be learned and nurtured. The key to successfully transitioning to med school is NOT avoiding failure. It’s NOT about creating a fail-proof plan. It’s NOT about limiting your risk-taking so that you don’t fall short. It’s about creating your own path and marching onward despite roadblocks. What is a growth mindset? It is believing you have the capability of developing your strengths and weaknesses through hard work and persistence. This is the opposite of the fixed mindset in which people believe they are born either with or without the skills they need, which cannot be learned or nurtured. 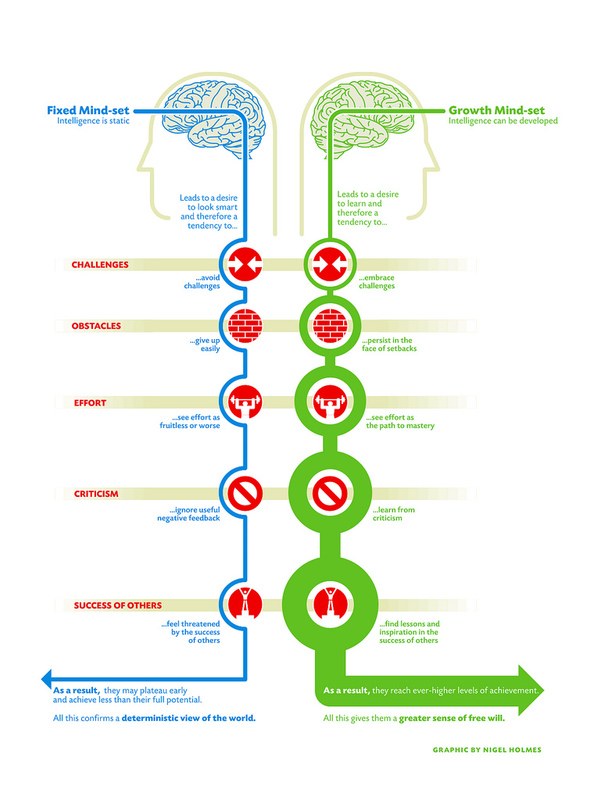 People with a growth mindset tend to achieve more and have better attitudes, as proven by studies conducted by Stanford professor, Carol Dweck, and her colleagues. So, in order to cultivate this way of thinking, fail forward. Whenever plan A doesn’t work in your favor, understand what went wrong and try again, making adjustments to help yourself progress. For instance, maybe that Organic Chemistry class really gave you a tough time and didn’t end so well. No worries. Show your commitment and fearlessness by taking it again and doing better what you weren’t able to the first time around. Acknowledge and embrace imperfections. These are what make your story unique and force you to be creative in tackling your challenges. Step out of your comfort zone and take these new experiences as opportunities to discover. With each step you take, you add to your hefty toolbag of knowledge. Finally, cultivate a sense of purpose. As a pre-med, find your answer to “why medicine?” Whether it be your way of pursuing a hobby of problem-solving in the real world, or your way of promoting social justice by making clinical treatment available to those underserved, keep that desire in mind and allow it to power you through the ruts in your journey. With the busy schedules of pre-meds, it may seem like too much to incorporate more of your own interests into the rigid curriculum, but doing so can help you immensely. Whether it’s trying your hand at classes in the humanities, or getting involved in extracurriculars that have nothing to do with science or the pre-med track, you’ll not only be able to take your mind off of the stresses of your course load, but you’ll also be able to find new passions along the way. In the case of academics, pursuing a second major can open you up to a greater variety of career paths in case you decide to take a gap year, or want to be more creative about your medical contribution in the workforce. My education professor showed us a wonderful video that especially highlighted this. In it, a Stanford University pre-med discusses how she did not get into medical school; however, she doesn’t feel stymied because she blazed so many trails for herself in the process of making herself a qualifying applicant. Work breaks into your schedule, where you take time to read a book, play basketball, watch an episode of your current favorite show, or even nap. It’s common for students to feel guilty taking a break because they think they could spend that time better on classwork. However, University of Urbana-Champaign Psychology professor Alejandro Lleras has found data showing that prolonged attention to a task decreases effectiveness of performance. He contends that when tackling long tasks, it is best to take brief mental breaks as this deactivation renews your motivation for later on. Many pre-med students are reluctant to confess their struggles because of the fear of revealing weakness. However, by being vulnerable and voicing your doubts, you can open yourself up to a support group. Your peers are more than likely feeling many of the same feelings, and awareness of that fact can help you feel less lonely. Once you’ve done that, seek help. In 2009, a research study conducted by the University of California, San Diego found that only 26.5% of the pre-med and medical students who were found to be depressed were receiving treatment. Much of this was attributed to the denial of needing help and of the societal stigma associated with seeking treatment. It’s important for you to remember that your path to medicine is contingent upon you and your drive. If you’re losing the motivation to work your way up, it’s on you to make sure you find the resources you need to get back up on your feet. Others’ opinions have no bearing on whether you make it or break it; only you do. The psychological services available at your college or university are a great place to start. You can also find a more exhaustive list on the Active Minds website for mental health. Wellness is multidimensional and holistic, encompassing lifestyle, mental and spiritual well-being, and the environment. The National Wellness Institute provides a detailed explanation explaining how the balancing of emotional, occupational, physical, social, intellectual, and spiritual realms of your life contribute to your well-being. It is often hard in college to attend to all of these things. Being on the pre-med path, students often express that their intellectual and occupational realms inevitably consume all their efforts. Try spending just a few minutes on evaluating your health in each area daily. It’s important for you to remember that you control your path to medicine. If you’re losing the motivation to work your way up, it’s on you to make sure you find the resources you need to get back up on your feet. In the pursuit of medicine we’ve committed to a lifelong journey of learning. When you learn, mistakes are inevitable because you’re entering and experimenting in unknown territory. That’s okay. It’s important not to believe that you’re deserving or capable of less because things didn’t work out the way you intended. You never know where an open door is waiting. Moreover, great things come with great work. After Jackie made the difficult decision to pursue her Ph.D. at the University of North Carolina at Chapel Hill, she’s had some of the most rewarding experiences. She’s participated in and conducted intriguing research. She’s been able to teach, which she’s loved, and will be graduating this May with her degree. I asked her later where she’s headed next and the story couldn’t have a better ending. At the Duke Center for Autism and Brain Development, she’ll continue to do the things she loves at a top-ranked program. She noted what a relief it was to have a concrete plan and one so stellar, especially after facing so much uncertainty in the past few years..